Specializing in wedding photography and portrait photography worldwide, with offices in Dallas Texas and Paris France. Continuing on in our series of destination weddings, today I’m featuring one of my favorite commissions in my entire career. When Erin and Tyler first booked me, their wedding seemed fairly normal – a ceremony at a beautiful church followed by a lovely reception with all their friends and family. However, as the weeks of planning went on and the guest list grew, Erin and Tyler realized that all they really wanted was to be married, and the rest was just details. They decided to eschew the fancy centerpieces and table linens and pare their wedding down to the people and places that mattered most. I’ll never forget the day when Erin called me up and asked, almost apologetically, if I would be willing to fly with her, Tyler, and their pastor to Dublin, Ireland, the place that they met and had their very first date, and document their elopement. Naturally I just about jumped out of my seat with excitement, and a few months later we were off to the Emerald Isle! I can never thank Erin and Tyler enough for introducing me to the beautiful wonderland that is Ireland. Traveling throughout Ireland is like walking into a postcard. Everywhere you turn is a new breathtaking vista – rolling hills thick with lush green grass, packs of sheep wandering alongside winding gravel roads, craggy mountains stretching up to the clouds, and rainbows everywhere you turn! As if the stunning natural landscape wasn’t enough, the people of Ireland are by far the nicest on planet Earth (high praise, coming from a Texan!). Everywhere we went, the locals embraced us with open arms and big smiles. I’ll never forget walking into an ancient looking pub in the middle of a tiny Irish town, hoping only for a drink and a warm meal, and instead being seized upon by a group of locals who had clearly known each other for decades, but they took us in as if we were old friends, and we drank and sang and danced into the wee hours of the morning. From the bustling city of Dublin to the little villages dotting the Ring of Kerry, every place and person we encountered was a charm. I understand now why Erin and Tyler were so anxious to return there to say their vows, and I am counting the days until I get to return there myself! Follow the link below to see more! One of my favorite moments of the day was right before the ceremony.. The Irish rain began to fall (as it seems to do every 90 minutes, followed immediately by blue skies and sunshine, only to repeat the cycle again and again), and the pastor and videographer and I suggested that they wait out the rain for an hour or so. Neither Erin or Tyler were having any part of it – they were ready to be married, rain or shine! Erin and Tyler were married in an ancient 6th century stone circle nestled away in the Wicklow Mountains called “The Caher,” which was a stopping point for pilgrims to pray on their way to St. Kevin’s monastery. 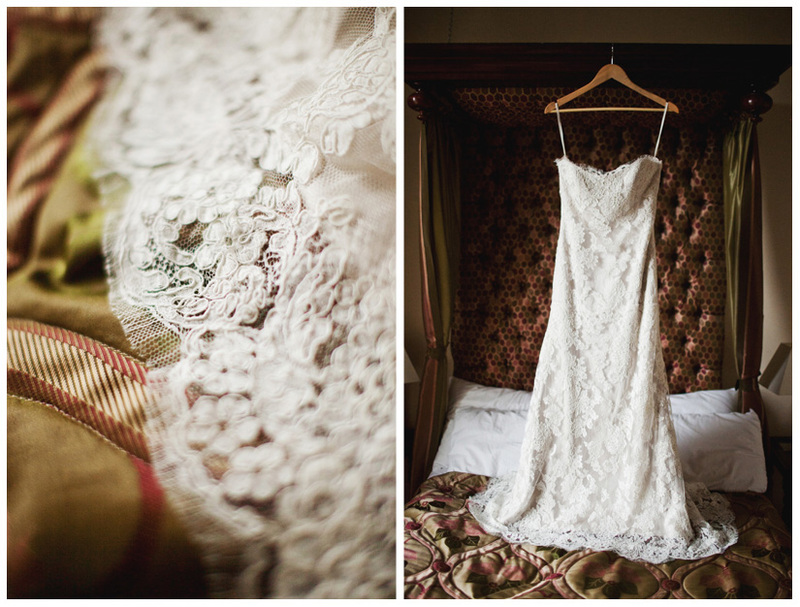 After their ceremony, we headed back to Dublin to the famous Temple Bar, where Erin and Tyler first met. They were both visiting Dublin with their friends on separate Spring Break trips, and after Tyler’s friend unsuccessfully attempted to hit on Erin, he introduced her to fellow Texan Tyler, and the rest was history! It’s so ironic that two Dallasites had to travel halfway across the globe to find each other and fall in love, but I think it instilled in them a sense of destiny – that they were just meant to be man and wife! For their “reception” they shared a pint of Guinness and a slice of wedding cake, and they asked the musician playing at the pub to sing “Galway Girl” for their first dance. After a round of Guinness for everyone, we ventured out into the streets of Dublin, Ha’penny Bride, the campus of Trinity University, and St. Stephen’s Green for some “Day After” style portraits. benj haisch - what a friggin’ fairytale. amazing coverage as well, Stacy. Elizabeth Jayne - Amazing! What a beautiful, heartfelt and intimate wedding! Nice job, Stacy! mike - Simply gorgeous, Stacy. Meagan Bechtel - Stacy. This is SO special. I’m not much of a “crier,” but this definitely brought tears to my eyes. What a beautiful way to marry your love. Mandaroo - GORGEOUS! You captured them beautifully! Robert London - Wow lucky you shooting in Ireland – you really captured “Ireland” which many a photog would have lost – love the plaid bob tie – good job! Jessica Rae Schaack - Perfect does not begin to describe these! In my next life I am eloping in Ireland and hiring you to do it. Bec - amazing. These images are fantastic! I loved how small and intimate it was,sounds perfect!! kimbrali - just wow. the images are so dreamlike. best wedding photos i have ever seen. in a world full of over the top weddings with more emphasis on the cake topper than the marriage i dont think these could be more perfect. i am so happy for this couple that they have so obviously found real and true love. Jonny Carroll - great as always. Love the lighting. Sophie Mortimer - Wow, Stacy! These are beautiful! You’ve captured the genuine emotion and romance of both the couple and the location. You are incredibly talented, too. These shots are stunning. I think you may even be good enough to make family portraits interesting. I still have not had a family picture that turned out well . . . or left any us happy with each other. Anyway, these are truly stunning. Thank you for sharing! Bethany - Lovely! I love your blog! SarahInParis - WOW Stacy, these images are INCREDIBLE!! Clearly I am going to have to find myself a husband and book you as my wedding photographer. Stunning work! Stacy - Really Awesome Pictures! Very Gorgeous!!!!! Adam Kealing - Incredible work. This whole thing is just amazing!! Maria Leinen - Absolutely stunning Stacy! One of my favorite sets of your work. Not only because of the beautiful landscape & setting, but also because the photos themselves capture the intimacy that really is felt when a couple elopes by themselves. Stacey - I love that they decided to elope. 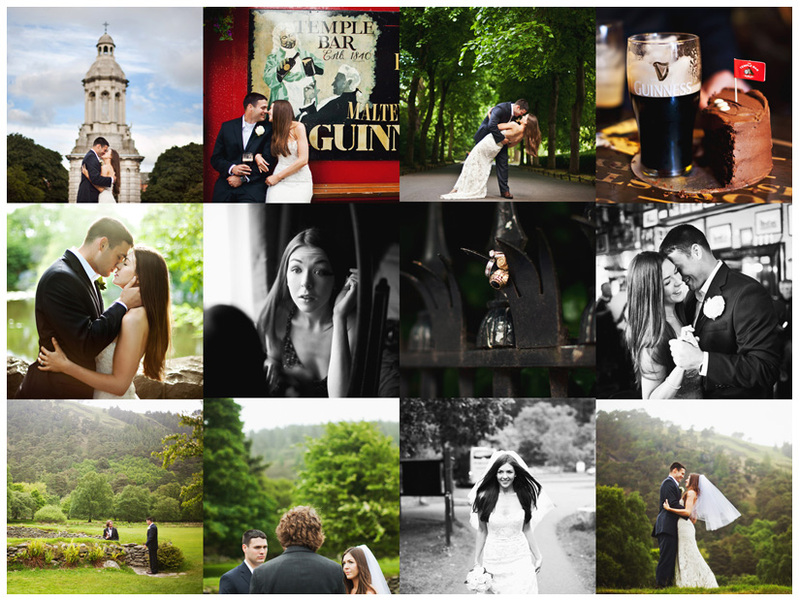 What a great opportunity for you as a wedding photographer to document their day in Ireland. Fantastic images. Alan Hughes - stunning work Stacy…. Lem Lynch - Great photos! I love the shots on the streets with the locals. Edna - These photos are so gorgeous! I love everything about this post. I can really relate to that feeling of saying forget about the planning, let’s just elope — my fiance and I are going through that right now. And I’ve always loved, loved Ireland, so I love the shots of them in Wicklow! Kay - These photos are absolutely beautiful! My fiance and I are looking to elope to Ireland just like this and these pictures brought tears to my eyes and definitely sealed the deal that we are going to do the same. Just a question though, how did the bride and groom get around the law that states you can’t get married outside? I am finding that to be a big hurdle in eloping to there. Jean - The photos are awesome of beautiful people who are now one. Kathy - I have the same question as Kay. How were the bride and groom able to do everything? 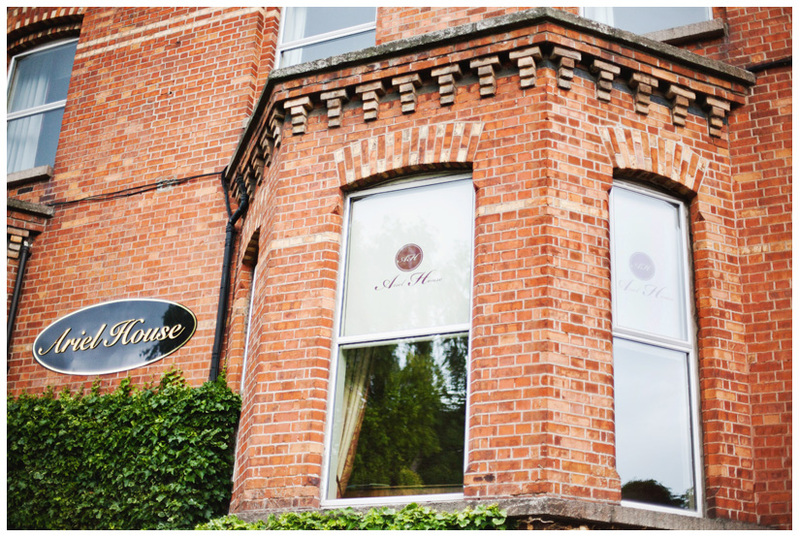 Looking to elope in Ireland and quite confused as how to go about it. Also, these pictures are amazing. Definitely saved for future reference. photojennette - what an incredible opportunity and session and thank you for sharing so much of the day! hope to be able to do this one day as well.